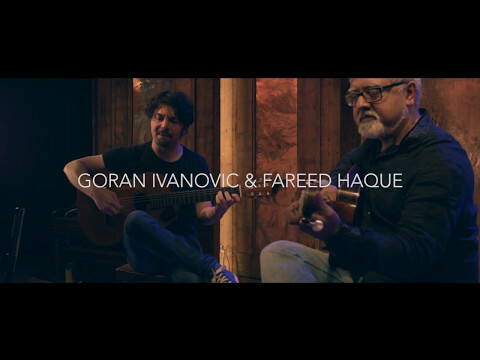 Inspired by the rhythms and melodies of flamenco, jazz, classical, rock and the Balkan region, the Fareed Haque & Goran Ivanovic Guitar Duo celebrates the unrivaled guitar artistry of two of the finest players of their respective generations. These virtuosic and musically multi-lingual guitarists have recorded two CDs together, Macedonian Blues and 7 Boats. They don’t often enjoy the opportunity to perform together so this Impromptu will be a special treat for all of us. I first saw Fareed and Goran perform together at HotHouse around 2001-2. I would go to see them as often as I could. Their music is mesmerizing!